One of the foods that are suitable to eat while hanging out is Toast. The toast refers to pieces of baked bread to crisp. 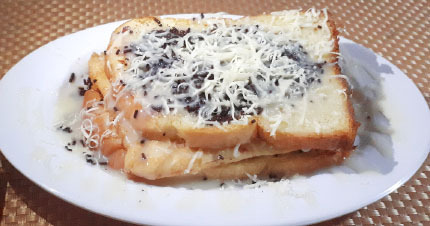 Resto Jakarta provides Toast with topping chocolate meses and cheese on top, then flush with sweetened condensed milk. We are called “Roti Bakar”.